The past week has been one of the most difficult in my life, and that’s saying a lot since I’ve been a quadriplegic at one time. I’ve had depression since I was sexually assaulted at 13, but this week was different. This week, I just couldn’t find the inner strength to fight like I always had. 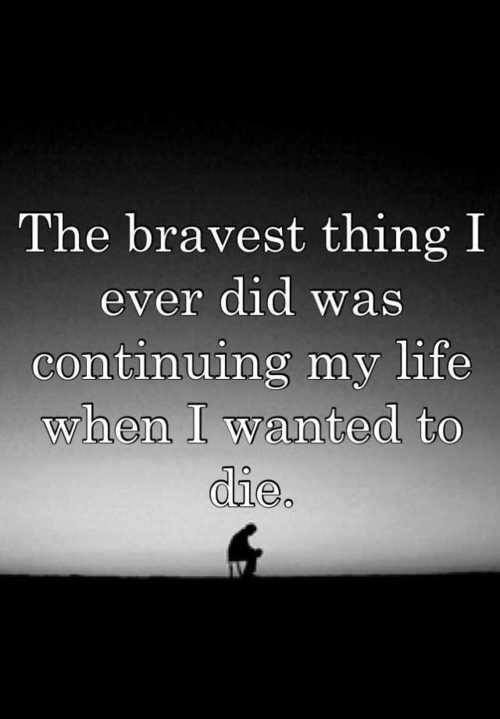 Yesterday, was the first day this week that I didn’t think about ending my life. I guess you could say that it was the perfect storm. The prescription for my anti-depressant has been incorrect for the past few months. I hadn’t been able to get to my doctor and have only been receiving half of the pills I needed for the month. Normally, I’m able to deal with it, but this month I required a steroid treatment for Multiple Sclerosis. Let’s just say, when they talk about roid rage they aren’t lying. My mood was in a state of constant fluctuation between severely/dangerously depressed to pissed off and back the eff off. The worse part was that even though I saw it happening, I couldn’t stop it. I’m writing this because we don’t talk about depression or chemical imbalances. There’s still an incredible stigma against people who have these conditions. A person shouldn’t have to worry about what people will say, if they get the help that they need. Thankfully, I was blessed to have a group of people who truly care about me, in my life. My neighbors wouldn’t let me shut myself off from the world, and even got my antidepressant when I couldn’t afford it. If you’re feeling suicidal, call someone…don’t let embarrassment keep you from getting the help that you need!